SRC launched less than a year ago. 3660 Regent is SRC’s fourth off-market purchase, which includes an MOB in LA, and an office building in LA as well as 801 Congress in Houston. Tim says SRC is actively looking for Dallas middle-market office buildings. He says 3660 Regent fits SRC’s investment profile of value-add office and medical properties across Texas, Southern California, and the Midwest. 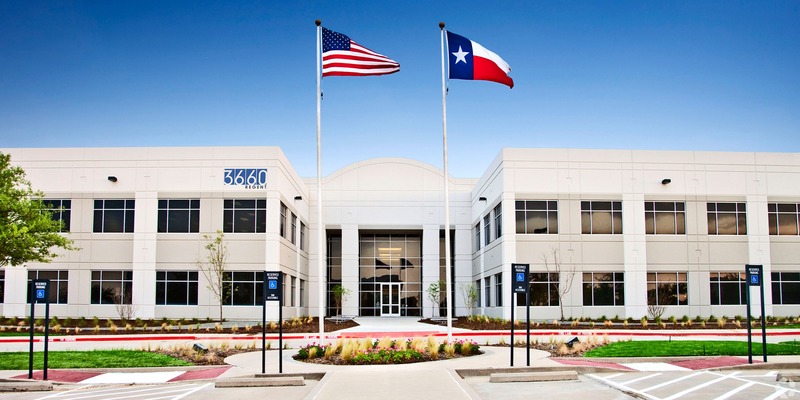 The 100%-leased two-story 159k SF building was originally built in 2000 as a build-to-suit for Ford Motor Credit, which occupied the property until 2008. In 2009, the property was converted to a multi-tenant building and is currently fully occupied by four national tenants, says Cushman & Wakefield’s JJ Leonard, who will be leasing the property along with John Fancher. Cushman will also provide property management. The acquisition was made in partnership with Second City Real Estate. Second City’s Merrick Egan says the property was attractive because of its efficient floor plates, great parking, credit tenancy, and the nearby retail and restaurants. JJ tells us Las Colinas has been a hot market for the past two years with a preponderance of growth in Freeport. As corporate America has grown, so has the need for back office support. Freeport fits that space need. Most of the large blocks of space have been filled in the last two years by a combination of regional and national companies, he tells us. Tim says some property updates are planned including some landscaping and parking improvements, among others.